All savvy digital marketers know that Snapchat is the next huge platform for business. One of the best features of Snapchat is that it forces creativity. We have seen a lot of businesses growing their brand awareness through creative stories and on-demand geo filters, but space150 took it a step further. 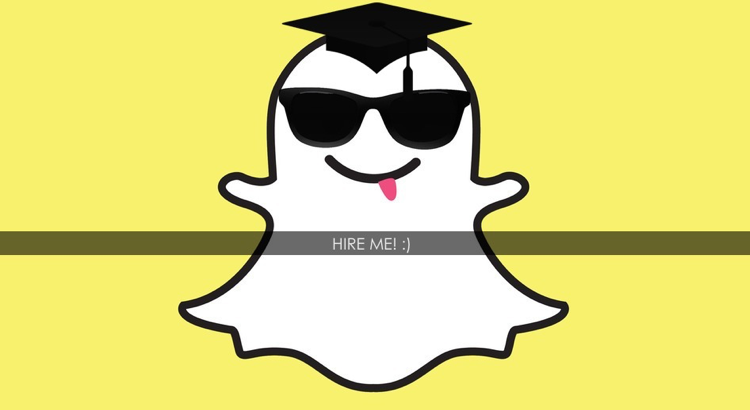 They have cleverly been using Snapchat to recruit their next interns. Through buying geo filters in college campuses and public locations, they encourage students to follow their Snapchat handle. Students then receive instructions on how to apply, which involve creating a story for one their clients as if it was the year 2020. Snapchat has the attention of millennials and is the most effective way to target them in 2016. “Rather than asking students to come to us, we thought it would be much better to target them where they already are,” said Melissa Murphy, Space150’s head of HR. Their filters reference celebrities and hot topics such as Rihanna, Donald Trump and Tinder. Creativity is key in the tech industry and Snapchat is an excellent platform for businesses to show off their style. This isn’t first time a brand has used Snapchat to recruit employees, it has even been used to pitch to clients. These are sure signs that Snapchat is the future of social media, the place where brands need to be right now to stay relevant. It is a matter of time before the platform plays a huge role in every businesses marketing strategy and maybe more. If you are interested in growing your brand’s Snapchat presence get in touch with us for more information.